Look at any do-it-yourself videos online for battery and charging port repairs and you will soon see that it’s a task better left to professionals if you don’t want to damage the delicate parts inside your mobile phone. But you don’t have to stand in long lines of the manufacturer store and worry about them telling you why they can’t fix your phone and attempting to sell you an upgrade that you can’t afford or don’t want. Independent mobile phone repair stores are on the rise and Mobile iPhone Repair Portland is a leader among repair shops in the area. We provide efficient phone repair service with a smile. Perhaps you just bought your iPhone last year, but now it refuses to stay charged for more than a few hours or your port is a bit wobbly. Maybe you dropped it or the parts are even after only a year, past its lifespan. Buying a new phone doesn’t have to be an option when you have a more affordable avenue like calling upon Mobile iPhone Repair Portland. We have a team of experts who know iPhone systems and hardware inside and out. 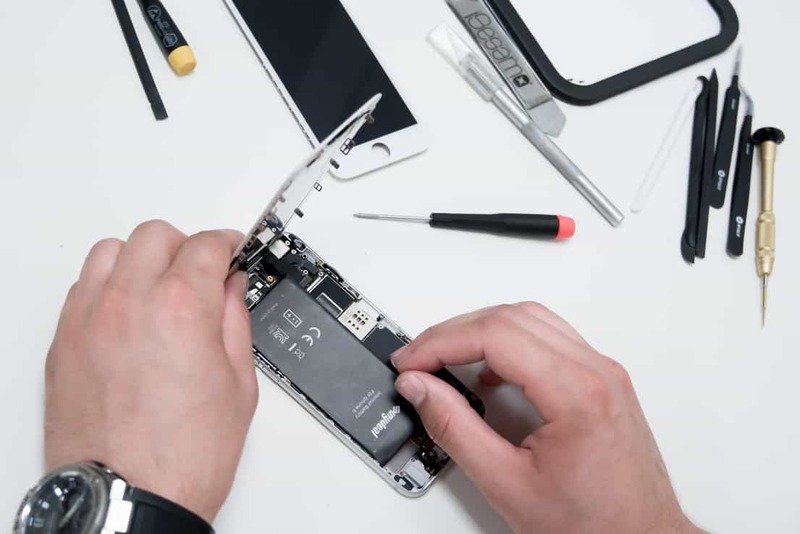 If you have any problem with your battery and charging port, they can be repaired by our team of expert mobile iPhone technicians. Our repairs cost a fraction of what you will likely spend in an Apple Store. Go into any Apple Store and you will usually see long lines and long waits for assistance. It’s an equally painful process when you are required to book online for all your iPhone repairs. It can often take weeks to have your phone operational again. It’s a frustrating a element, particularly when you do not have a lot of time and not having your phone is like losing a limb. That’s why when you visit Mobile iPhone Repair Portland, we offer a faster iPhone repair service without the marathon waiting. Our service is quick and reliable because we know you have other priorities and waiting on your mobile iPhone repair person to complete an operation is likely not included on that to-do list. When your phone is broken and not charging properly, you’re likely carrying around extra equipment to ensure it’s charged or maybe you’ve considered purchasing a new phone because you didn’t realize there is an independent repair service that offers affordable prices. We are a trusted brand in mobile repair services in Portland and if you have a battery and charging port repair need, we can assist you.